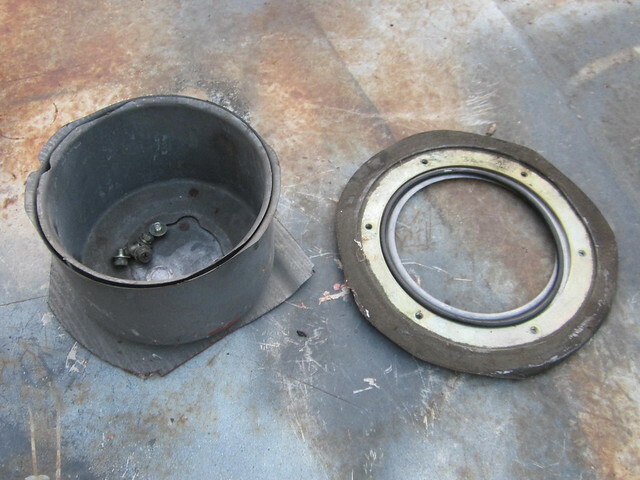 This is a ring and cup for a fuel injetion In tank pump, these are the 2 pieces that you need to install on your tank ( Yes, these need to be welded in ). This is from a 1984 to 1988 200sx S12 this is the style with the fuel gauge sender. The cup is still spot welded to the tank sheet metal. $40.00 for the pair plus shipping. A buddy of mine is interested, please get it in touch with me.